If I told you the pictures below were taken in, say, Michigan, you’d probably believe me. After all, the van ending its days under a tree is a Chevrolet Beauville 20, a model that was never officially sold in Europe. There are red farms and fences in the background, and there’s a second-generation Ford Explorer visible in a few of the pictures. Maybe not Michigan, but it has to be somewhere in the Midwest. In many European countries, American cars are relatively rare so they’re prized possessions that are usually in fantastic shape and driven occasionally at best. 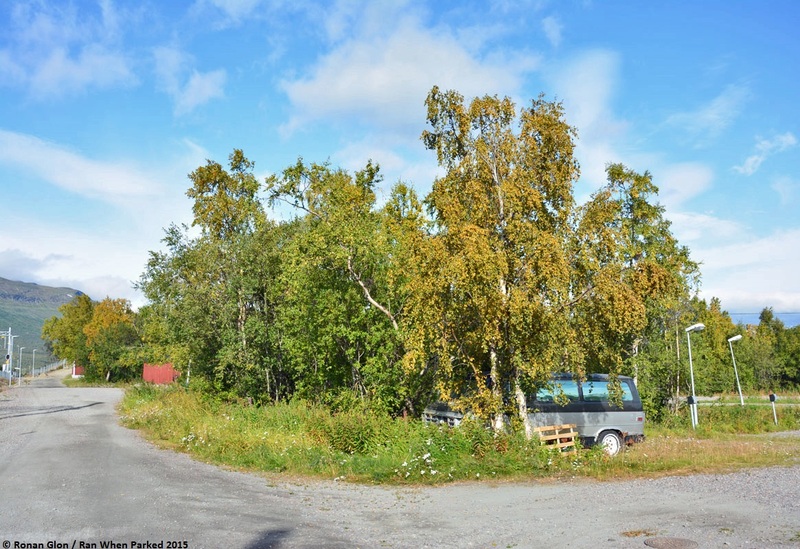 In Sweden, I regularly saw concours-ready American classics, late-model SUVs and pickup trucks, classics seemingly used on a daily basis and even decrepit classics like the Beauville below. American cars and red houses, certain areas of Sweden really do look like the Midwest. I don’t know what the story behind this Beauville is or when it was last on the road, there weren’t any legible registration stickers on it. It’s fairly rusty which is surprising because most everyone I talked to mentioned that the north of Sweden doesn’t use salt on the roads. Either the Beauville comes from the south of Sweden, where the roads are salted all winter, or the rust on the bottom part of the body started on the other side of the Atlantic. Part of the trim on the front end is missing but the sheet metal is also a little mangled so I’m guessing it fell off following a minor collision. Front fascia aside the Beauville is largely complete and I didn’t see any other General Motors vans around so odds are it’s not being used as a parts car. It certainly doesn’t look like a project; by process of elimination, it seems like this one was parked either because of the rust or because a part that’s expensive and/or hard to find broke. Tags: Chevrolet, Chevrolet Beauville, Chevrolet van, Sweden. Bookmark the permalink. Previous post ← Open mic: What car company deserves to live again?